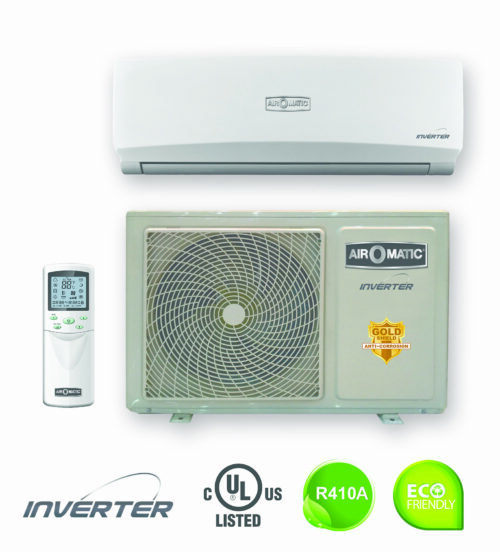 Categories: All Residential, Vertical Condensing Units. How an Air Conditioner Vertical Condenser Unit Works. An Air Conditioner Vertical Condenser Unit is comprised of several parts. One of the parts is known as the condenser. 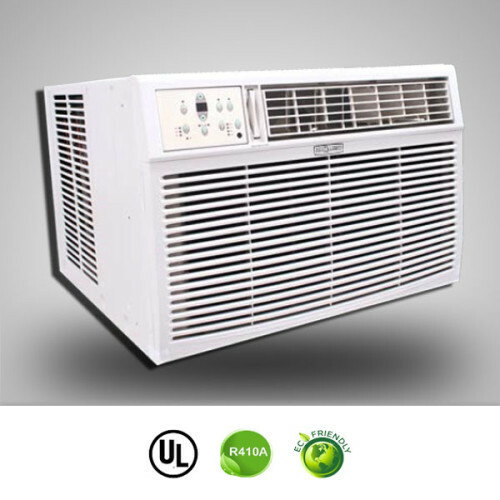 The condenser of the vertical condenser unit is the outdoor part of the system. The condenser works together the help of a compressor. The compressor is used to pressurize the refrigerant in the heating or cooling process. As the refrigerant travels into the condenser and its many coils the liquid escapes through pressure into a valve with a smaller diameter as a mist. This mist in later turned into a gas which enters and evaporator coil and is blown out by a fan into a designated area. The Higher the Seer Rating the More you Save! 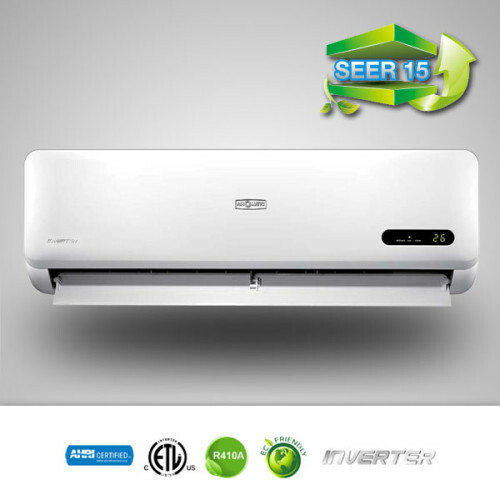 Seasonal energy efficiency ratio (SEER) is the Cooling Output divided by the total electric energy input during the same period. 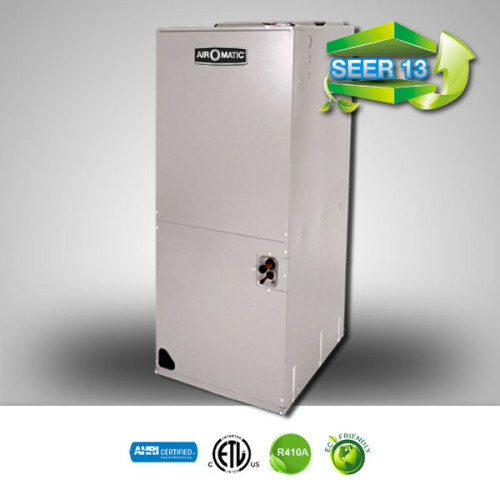 The higher the SEER rating the more energy efficient the unit is. 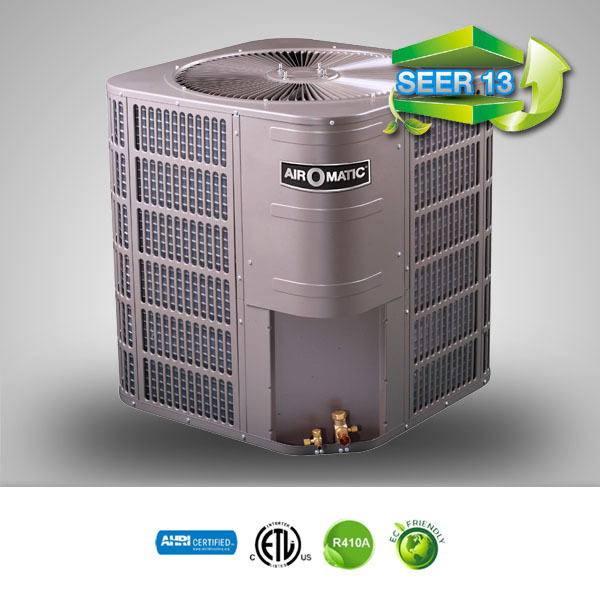 Air O Matic 13 SEER and 16 SEER high efficiency air conditioners offers the best in the HVAC marketplace. 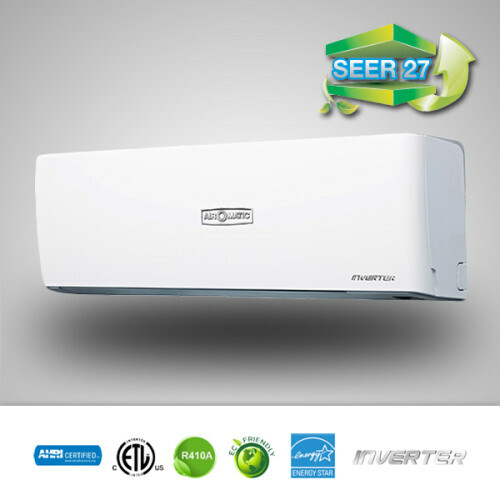 These units are designed to handle single family, multi-family and light commercial applications. 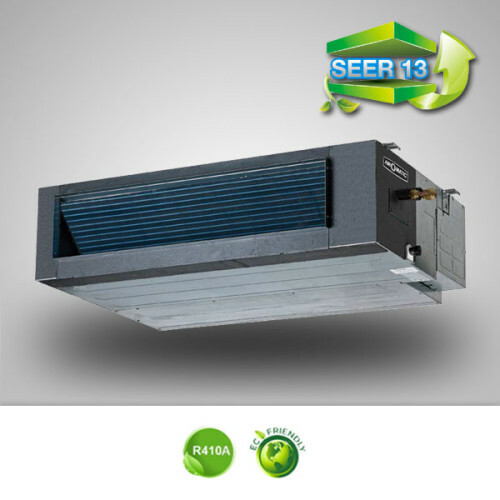 The vertical condenser outdoor condensing units with R-410A are packed with features for comfort and energy efficiency. 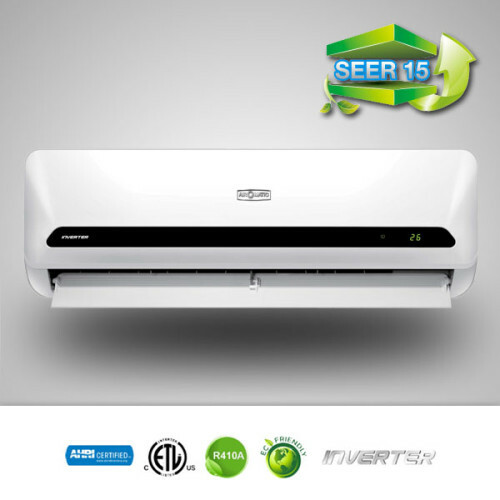 The units come equipped with environmentally friendly R-410A and feature sweat fittings that connect the refrigerant lines. The condenser coil has a large surface area for heat exchange and the coil is protected by a full metal jacket. 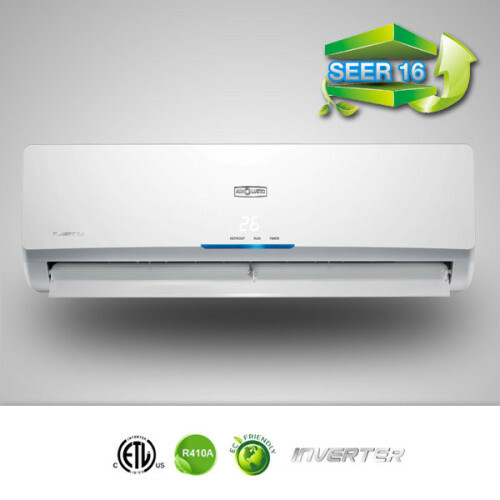 Top air release reduces operating noise and allows the user easy access to components. Air O Matic Vertical Condenser Unit outdoor condensing units offer extraordinary cooling performance. 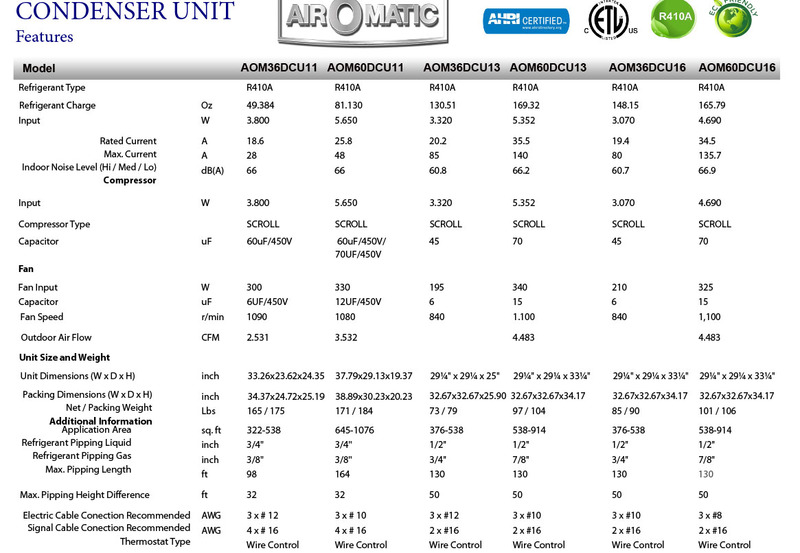 Our Air O Matic vertical condenser units deliver a 13 SEER or 16 SEER rating as lister per AHRI and ETL certification. Below you will find floor and ceiling mount systems. These systems can mount to your ceiling or sit on the floor against a wall. Most of the systems that you will find on this site will need to be mounted to the wall within 6-12′ of the ceiling. With these types you can complete a more flexible installation like recessed in your drop ceiling, or flush mounted to your ceiling, or mounted on the wall near the floor. Either way the systems below will do the job that you need. R410-A refrigerant gas. 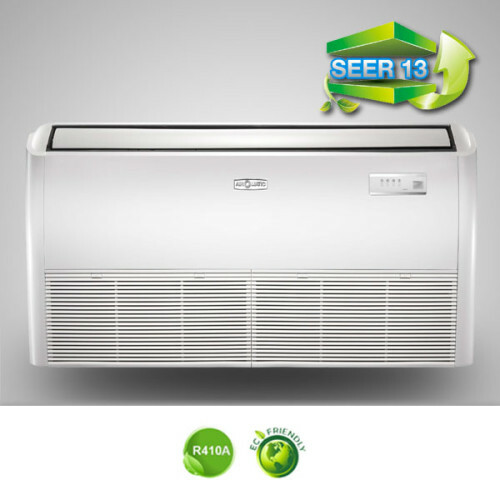 With your Air O Matic floor ceiling 13 seer high efficiency condensing unit, you will have the finest, most affordable product that fit every budget. Air O Matic floor ceiling is committed to building equipment with high efficiency, performance and durability to give you the comfort you desire. 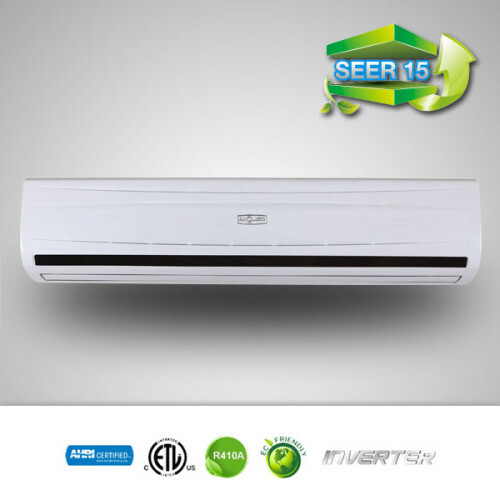 Floor and celing mount ductless minisplit systems are composed of high efficiency condenser coil, made of corrugated aluminum fins and inner grooved refrigeration grade copper tubing. All units contain factory installed in-line filter dryer, for long systems life. With our latest design, coils are protected with a steel louver wrap around coil guard that keeps its attractive appearance year after year. Related to: LG Universal Floor Ceiling, Fujitsu Universal Floor Ceiling, Friedrich Universal Floor Ceiling, Panasonic Universal Floor Ceiling, Inventor Universal Floor Ceiling.